Paige became a Green Teen for the City of Chandler’s Environmental Education Center (EEC) as a 14 year old. She was a quiet girl who had dreams of studying science and biology in college and becoming a veterinarian. When Paige left the EEC at the end of her high school senior year, she left with self-confidence and strength that she didn’t know she possessed when she began her journey. Volunteers in the Green Teen Program have a unique opportunity to be a part of environmentally-based service projects, programs and events. Tasks they may help with include animal care, recycling, composting, park clean-up and trail maintenance. They may also help with educational programs and events such as the Earth Day and Arbor Day celebrations, or the Butterfly and Dragonfly Bash held in September. Paige’s specialty was the reptile exhibit. In addition to feeding them, she cleaned the habitat and kept it in good shape and ready for the public. Eventually, she volunteered twice a week. “She was taught the basics, but she took it one step further,” says Michael Ballard, a Recreation Coordinator I at the EEC, and Paige’s supervisor. “She was always a happy person with a great attitude. We really saw her grow with her interaction with the public and sharing what she loved about the animals. Teens 14 years and older are encouraged to apply for the program. There are single-day projects available, as well as ongoing volunteer opportunities. Candidates submit an application and are contacted for an interview. During the interview they discuss what types of things the teens would like to do. 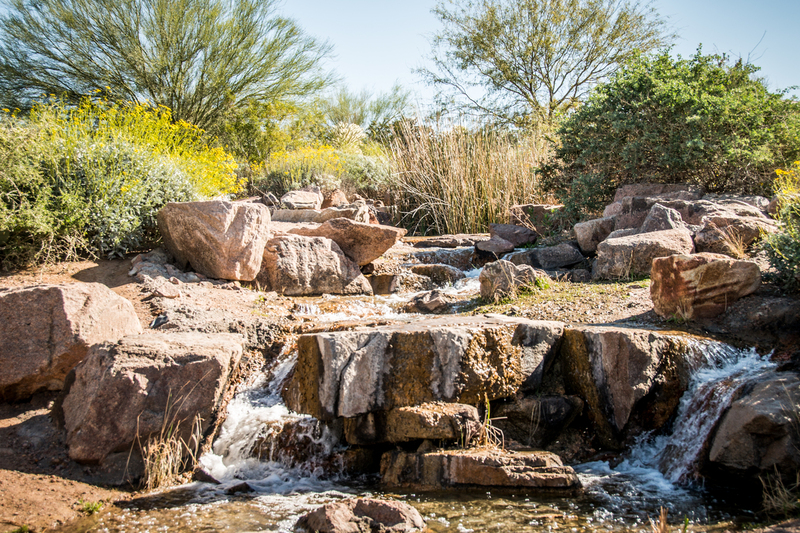 The EEC is located at the Chandler Veterans Oasis Park, which covers 113 acres and offers a wide range of recreational offerings such as a fishing lake, children’s play areas, picnic pavilions, an outdoor amphitheater and miles of walking and biking trails. An important aspect of the park are the five recharge basins used to recharge reclaimed water. The basins also provide riparian and wetland habitat to attract wildlife, which in turn creates educational opportunities. About two-thirds of the park is designated as a desert preserve. 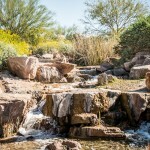 The water basins attract a plethora of animals to this oasis in Chandler. Scouts also volunteer at the EEC, and although they come to the program a little differently than the typical Green Teen, they are still considered Green Teens by Francis. In addition to doing service projects, they help maintain the trails and spread mulch to prevent erosion on the hill. A few years ago, an Eagle Scout built an outdoor tortoise habitat. 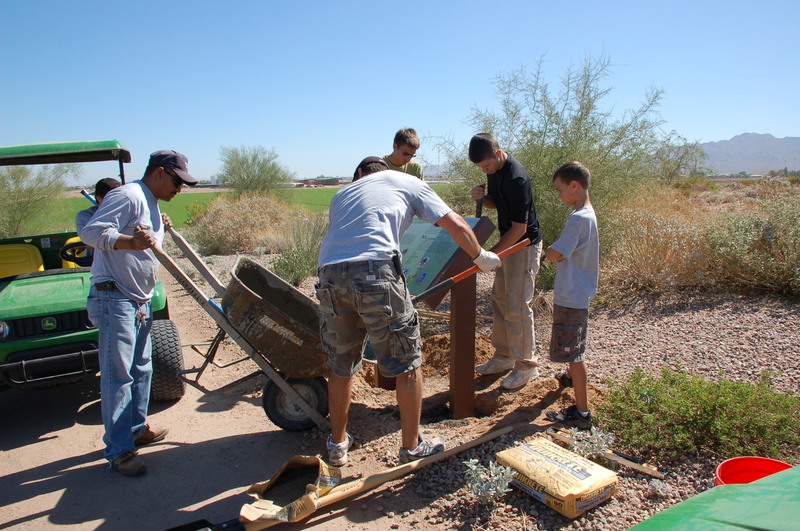 Recently, it was his brother’s turn to do an Eagle Scout project. The EEC offers an annual training, and during the training they discuss duties and expectations. The teens sign-in when they arrive and the center records their hours. “They are such a benefit to this program. We can offer more programs because of the teens and their contributions. 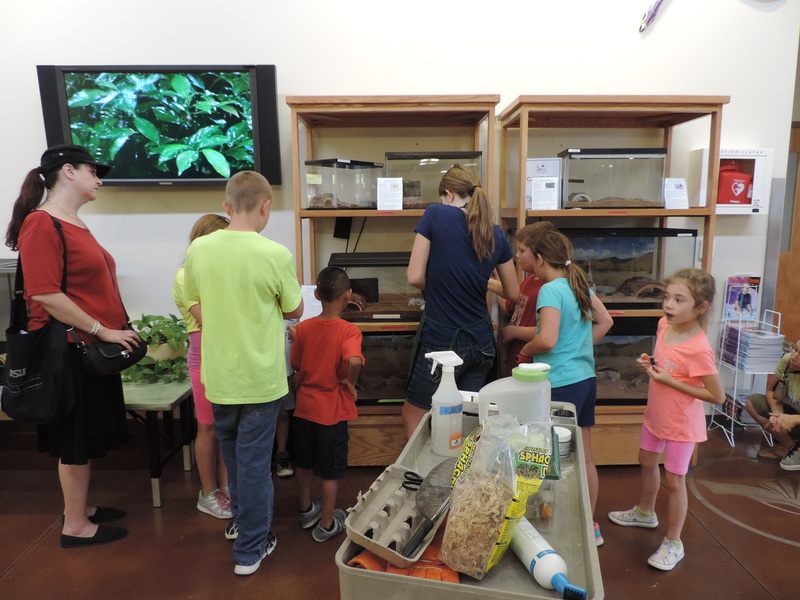 When they run the feeding frenzy and are talking with visitors about the reptiles, snakes, scorpions, tarantula and baby tortoise, it allows staff to do other things,” says Francis. Francis is always open to hear program ideas from the teens. She wants to know what interests them and their families, so that she can offer educational opportunities they will all enjoy. “We are all about providing a quality service to the community,” says Francis. Francis reminisced about Paige. She, too, remembers watching this shy teen mature through the years. 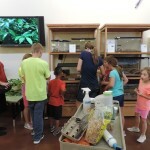 She remembers how she shed her fears and began teaching the public about the reptiles. When Paige left the program, she wrote a paper detailing what she did each Tuesday and Friday, so the next generation of volunteers (as well as the staff) could continue to provide them with the best of care. 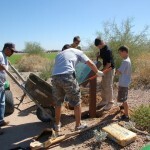 Learn more about the Environmental Education Center’s programs and volunteer opportunities at www.chandleraz.gov/EEC.